The Miami River was sampled from McCallum road to Harrison Lake. Sampling occurred over two weeks in May and two weeks in July. 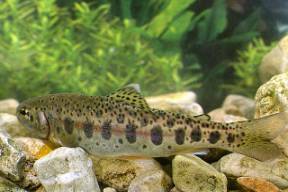 Fish were trapped using ‘Feddes’ traps that were set overnight and baited with cat food. Traps were set approximately 150m apart extending almost the entire length of the Miami River. For the past four months I have had the opportunity to study the Agassiz Slough and Miami River watersheds as part of my Masters thesis at UBC. 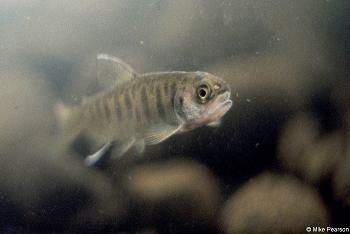 Part of my project is to estimate the population size of the endangered Salish sucker and also look at other fish presence and abundance. In Agassiz Slough I set traps from outside the dyke, all along Tuttyens road and along McDonald road. The Miami River was trapped from McCallum road to the floodgates. In total I caught almost 800 fishes and 40 amphibians in Agassiz Slough and nearly 4000 fishes and 20 amphibians in Miami River, including juvenile salmon and adult trout. I identified about 20 different species in each watershed. The table below highlights some of the interesting species and abundance from each watershed. 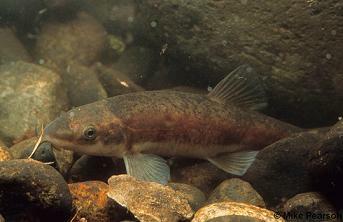 So next time you wander by or along your local watershed watch to see if you can see fish jumping.